3D televisions are the latest invention in the world of televisions and as the name suggests, they allow users to view three-dimensional programs and also play three-dimensional video games on them. Holographic technology, on the other hand, is an even more recent technological development that is rumoured to be launched even before the 3D TVs are available widely. This technology is almost a dream-like coming to life of a concept that has only been seen and read about in science fiction. The 3D technology requires the evolution of television equipment that will include a TV and a Blu-ray player that serves as a suitable platform for 3D. 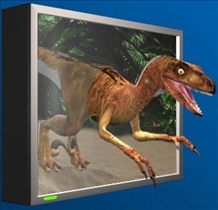 On the other hand, the working of the 3D Hologram TV involves projecting the image on to the viewing area which can then be viewed from all angles. 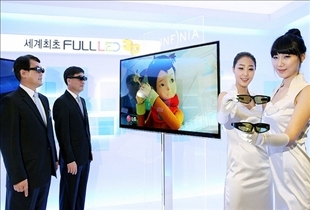 It is most likely that users will have to wear glasses when viewing the 3D TVs though there are efforts being made to develop a technology wherein the need for these glasses will not exist. But Holo-TVs do not need the aid of special glasses at all. These do not even require to be mounted on walls but can be laid on floors while the lasers project an image cloud anywhere within the room. In that sense, the latter is relatively more accommodating to the convenience factor that users search for. The main problem in developing the 3D Holographic technology involves the refresh rates that are not quick enough to give the sense of real movement and action. But research has shown that a technological development will apparently facilitate refresh rates that can overcome this problem by updating the image every two seconds, thereby creating an image closest to being real. For the 3D TVs, however, there is an acute paucity in the present amount of programs that can be viewed on 3D. A standard also has to be established for the encoding of 3D content. Otherwise, it becomes difficult to gauge which manufacturer’s TV would be the most viable to buy. The Blu-ray Disc Association, however, has approved a proposal for the encoding of 3D content in the future and therefore 3D Blu-ray discs can be played on any 3D set. Though there are technological glitches in the development of both the Holo and the 3D TV, they are both undoubtedly capable of revolutionising our TV viewing habits forever. Holo-TVs seem to be better for people who want to enjoy live broadcasts of a sports event that will show a full- size image of players which can be projected anywhere within the living space of the viewer, making him feel as though he is really watching the match live without having to take account of the hassles of wires or the limitations imposed by space. 3D TVs are better for people who do not want to spend too much or wait for the Holo-TV and do not have problems with the conventional idea of viewing 3D TV with glasses and within its wall mounted frame.